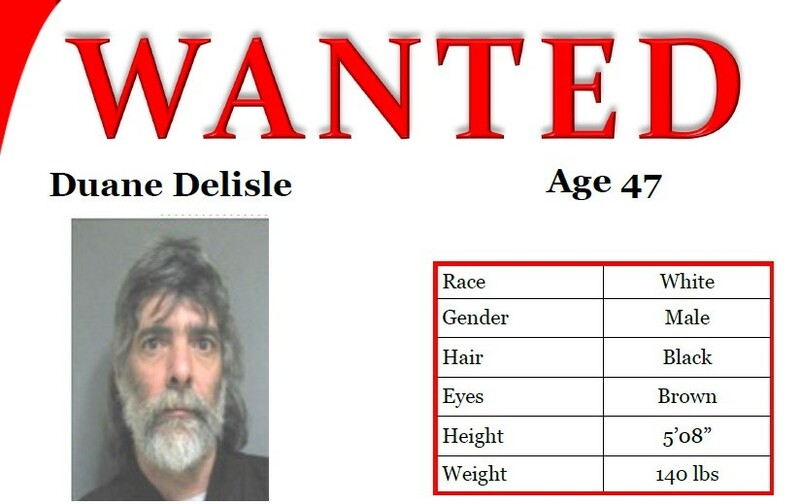 Vermont State Police had been frustrated for almost a year by their inability to catch Duane H. Delisle, who was wanted on an arrest warrant for sexual assault. During that time, cops had gotten tips that he'd hide out at a house on Thomas Street in Richford. Other leads indicated he'd fled to South Carolina. But a crucial tip came in recently: Delisle, 47, would successfully use an "obscure hiding spot" to conceal himself whenever cops arrived at the Thomas Street home. Determined to find their man, police showed up at the house on Monday with an infrared camera they borrowed from the Richford Fire Department. Firefighters use the cameras, which detect heat signatures, to find victims in smoke-filled buildings or to search for fire "hot spots" concealed in walls. Residents at the home agreed to let police search the place, but denied Delisle was there. It took 45 minutes of scouring before the infrared camera turned up a human heat signature — Delisle was hiding inside a large chest, Lt. Maurice Lamothe told Seven Days. Cops made their collar and took Delisle to the Northwest State Correctional Facility in Swanton, where he's held in lieu of $50,000 bail. Lamothe said he couldn't recall arresting someone hiding inside a piece of furniture, though he said police are accustomed to the occasional game of hide-and-go-seek. "We've had people hide in false walls, attics, basements, crawl spaces, under beds, behind cabinets — I've had them hiding under kitchen cabinets," Lamothe said. "I wouldn't say it's common, by any stretch, but I'd say people get very creative."